Summer is just around the corner and No Sleep Record is supplying you with a compilation filled with 23 new and unreleased tracks from artists like In Between, Run Forever, Looming and more! The compilation, titled Summer of the Reaper, is available as a free download and stream on SummerOfTheReaper.com and is also available for purchase at iTunes and can be streamed over on Spotify. To fans that are interested in a physical copy, they can pick up the comp at a ‘pay what you want’ price at No Sleep Records’ booth on Warped Tour. Fans can also receive a free copy, while supplies last, with a purchase from their webstore here. 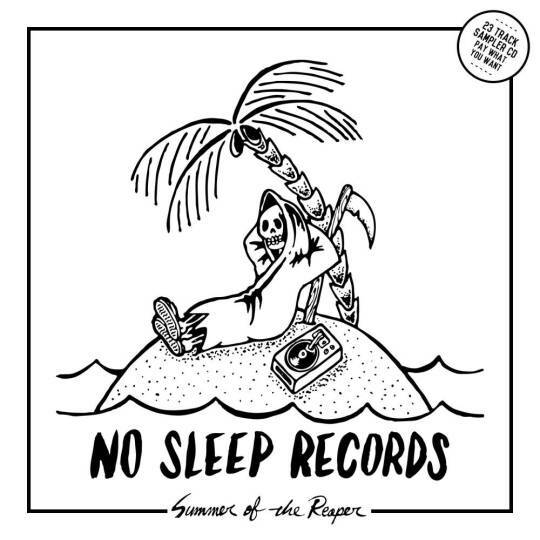 Additionally, No Sleep Records has also teamed up with the Vans Warped Tour for a ticket giveaway (which ends TODAY) over at summerofthereaper.com. Fans can enter to win a pair of tickets to their choice of dates on the tour. Enter now for your chance to win! Below you can find the full Summer of the Reaper track listing! 23. The Wonder Years – Leavenhouse. 1130.